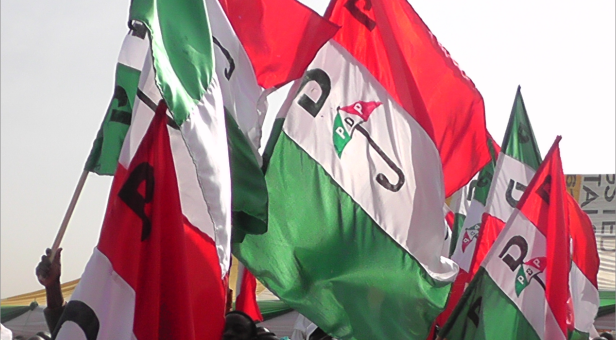 People’s Democratic Party (PDP) has cleared the 23 chairmanship positions contested on Saturday in the the local government area election conducted by the state Independent Electoral Commission (RSIEC). RSIEC Chairman, Justice Chukwunenye Uriri (retd), declared the results yesterday, at about 8:00pm and declared that the exercise was free and fair. He also added that there was no report of violence during the election. Uriri noted that voting commenced in all the units at about 8:00am on Saturday, and ended at about 2:00pm, adding that it was smooth and fair. He said the results declared showed that PDP won all the chairmanship seats contested, noting that in Abua/Odual, Daniel O. Daniel of PDP won with 58,680 votes; Ahoada East, Benjamin Eke of the PDP won with 50,966 votes. In Ahoada West, Ikiriko Hope of PDP scored 44,295 votes; in Akuku-Toru, Roland Sekibo scored 66,757 votes. Also, Paul Lawrence of PDP in Andoni scored 74,797 votes to emerge the winner. He also stated that in Bonny council, Rogers David of PDP scored 20,266 votes to emerge the winner; Tom Aliezi of PDP in Emohua polled 72,777 votes, while Samuel Nwanosike of Ikwerre council scored 78,662 votes to emerge winner of the contest. Meanwhile, Nwanosike has lauded the police for being neutral and demonstrating professionalism during the exercise. “We commend the police and other security agencies, for their conducts. This is the first time the governor raised the alarm and the security operatives acted on it. “This shows we are now in a new era, when the security is out to protect life and property. The process was peaceful,” he said.